Track One or Track Two? Differences between the third and fourth edition of BBG. All resources in this category use unicode (Times New Roman preferred) and do not require TekniaGreek. You will need to install the TekniaGreek font in order to view the quizzes and overheads. 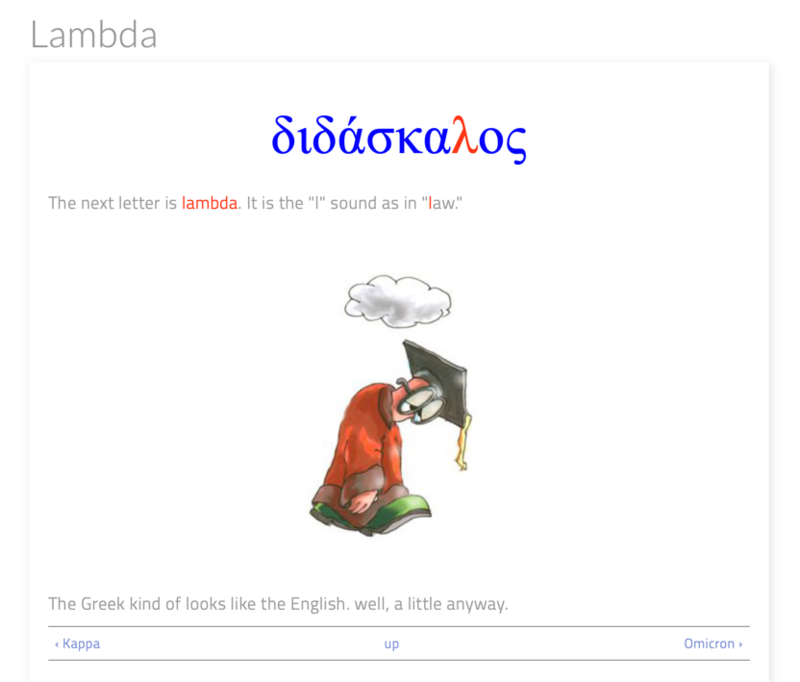 You will probably want to learn how to type in Greek using unicode. Sample syllabi for teaching the textbook in one semester or in two semesters.